Explore our favorite features and learn why Wilmington-area customers can’t get enough of the stylish Corolla. Folding Rear Seats: The available 60/40 folding rear seats open up the 13 cubic feet of trunk space and allow drivers to make room for larger parcels. Sport Gauge Cluster: The Corolla SE and XSE come standard with a sport-inspired illuminated tach and speedometer that flank a 4.2-inch driver information screen. Automatic Climate Control: Drivers can set their preferences and concentrate on more important things than whether the cabin is too hot or too cold. These features are only the beginning. 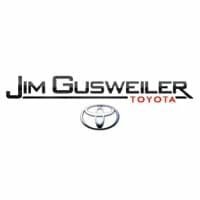 Visit Gusweiler Toyota in Washington Court House, OH to see this dynamic compact in action and explore your favorite features in person.